Why is Non Non Biyori categorised as Seinen? 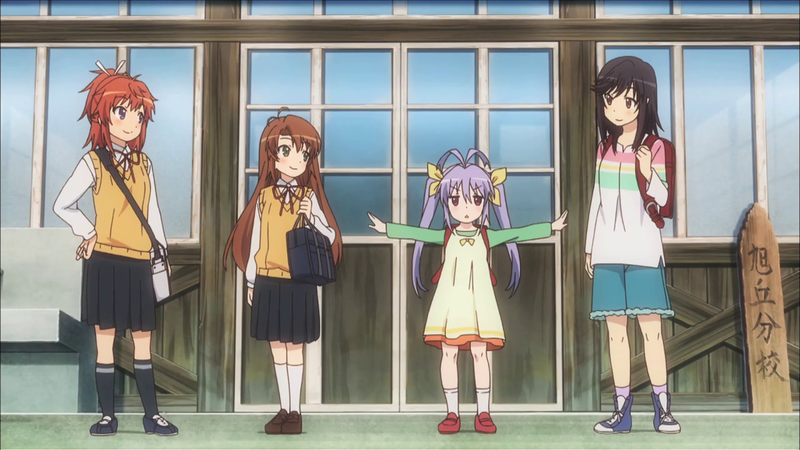 In my opinion, Non Non Biyori should be the gold standard in slice-of-life genre. With its likable characters and soothing atmosphere, it definitely makes a pleasant watch no matter what my mood is. I had written about it soon after the anime was over. The show garnered a huge popularity in Japan. So much so that a second season was announced. For audience outside Japan, it was a love-it or hate-it kind of situation. The lack of a concise “exciting” synopsis was also an important factor that contributed to the lack of reach. A lot of viewers have been asking why is this show (and the manga) categorised as seinen. If you observe the anatomy of the show, it is not much different from generic moe characters found in high-school shojo manga. The similarity ends with the superficial. 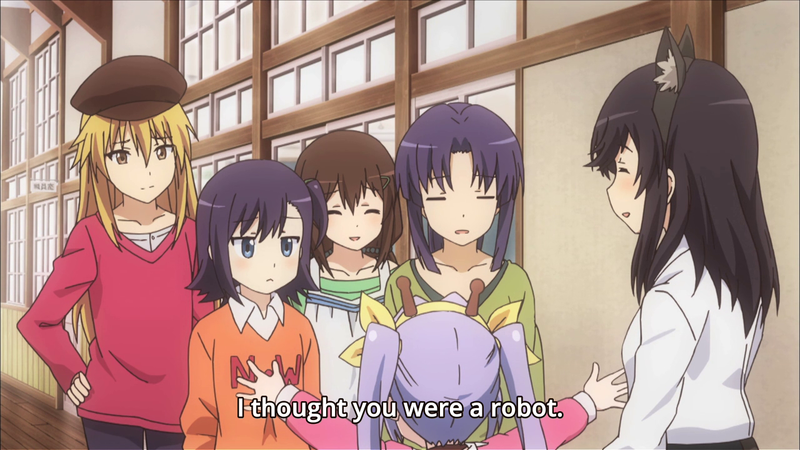 The lack of a romantic element drifts Non Non Biyori away from the shojo category. Seinen categorisation stems from the fact that the humour is loosely based on seeemingly childlike reactions the kids give to certain scenarios. I doubt if a teenager would be able to appreciate that. It is often when the audience is a grown up, he is able to understand the silliness of a kid’s actions and concurrently finds these actions cute. Think of anything that Ren-chon does. The actions of the other three girls would be something that adult women may find nostalgic. Or else, an adult raising a girl child may find something that he or she may often come across. I cannot think of a scenario where kids or teenagers would be able to enjoy. Sure, they may find some resemblance to the characters but it would be like an airhead 80’s hair metal musician trying to enjoy Spinal Tap. He would never get why the joke is on him. There is also another subtle aspect about the candy-story lady’s (Dagashiya) affection for Ren-chon. She never explicitly shows it. Although there are a lot of places where the audience is made aware of this but it would take an adult to understand it. In one of the episodes, she carries Ren-chon on her scooter but doesn’t drive. She makes an excuse that it is dangerous to ride doubles. That is actually not the case. What she really intended to do was to spend a little more time with Ren-chon. Such inferences can only be made by a seinen audience. The final point in question is the atmosphere of the show. It is too slow for kids and teens. On the other hand, to a person like me, working all day and commuting through the road-clogged traffic, the atmosphere was a nice escape from the usual din and hassle. It was perfect.